A Federal High Court sitting in Warri, Delta State has convicted and sentenced to two years imprisonment one Ighofose Oyoma. Ighofose was first arraigned by the EFCC, on 3rd May, 2016 on a seven count charge bordering on Conspiracy, Forgery and Obtaining Money by False Pretence to the tune of Nine Thousand Two Hundred United States Dollars ($9,200). Upon his arraignment, the convict pleaded not guilty to the charge, but later changed his plea to “guilty”. Justice E. A. Obile consequently convicted Ighofose and sentenced him to two years imprisonment with an option of N300,000.00 (three hundred thousand naira) fine to be forfeited to Federal Government. He also ordered that the payment receipt be deposited to the court registry. 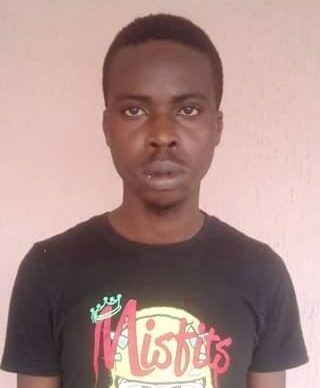 Ighofose was arrested sometime in May, 2015 in Calabar, Cross River State following intelligence report on his involvement in internet scams..